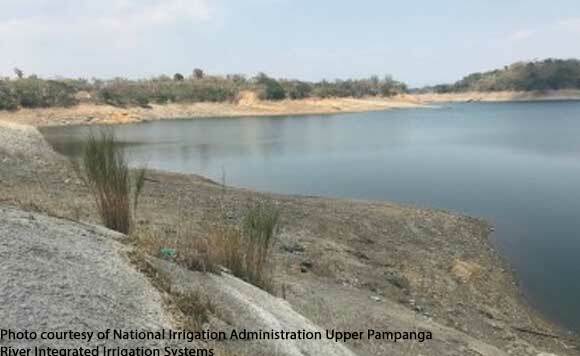 CABANATUAN CITY, Nueva Ecija — The Department of Agriculture (DA) is working for possible cloud seeding in areas affected by feared prolonged drought even as it rushes the provision of solar powered irrigation facilities in various parts of the country, Agriculture Secretary Emmanuel Piñol said on Monday. downloaded millions of pesos to the Philippine Air Force (PAF) as standby fund for cloud seeding operation once favorable clouds are formed. He said they have also downloaded funds to their regional offices for prompt implementation of measures. formed and bit heavy, we start the seeding),” he said, noting that cloud seeding requires good timing. “Ang importante naghahanda kami, ready kami and we are just waiting for the right moment para magawa yung operations (What is important is we are preparing, we are ready and we are just waiting for the right moment so that we can conduct the operations),” Piñol said. He said Israel has offered a solar irrigation project, similar to what has recently been turned over to a farmers’ group in Llanera, Nueva Ecija, which can irrigate thousands of hectares. Meanwhile, Rose Bore, department manager of the National Irrigation Administration Upper Pampanga River Integrated Irrigation Systems (NIA-UPRIIS) which supplies irrigation to over 130,000 hectares of rice fields in Nueva Ecija and portions of Bulacan, Pampanga and Tarlac, said Pantabangan Dam and other local flows have enough water to supply throughout the dry cropping season. Bore said the season started with Pantabangan having 219 meters above sea level which is way above the previous years’ water elevation. They have actually supplied new areas under Casecnan Phase 2 in the towns Cuyapo, Talugtog, and Nampicuan, she said. “The dam currently releases at its peak of 169 cubic meters per second for remaining rice fields but the demand has started to go down since the harvest season has begun,” Bore said. NIA-UPRIIS has programmed 125,848 hectares this season. manager of the NIA-UPRIIS division 3. Unlike before, farmers today would not let their paddies soaked all the time, he said.